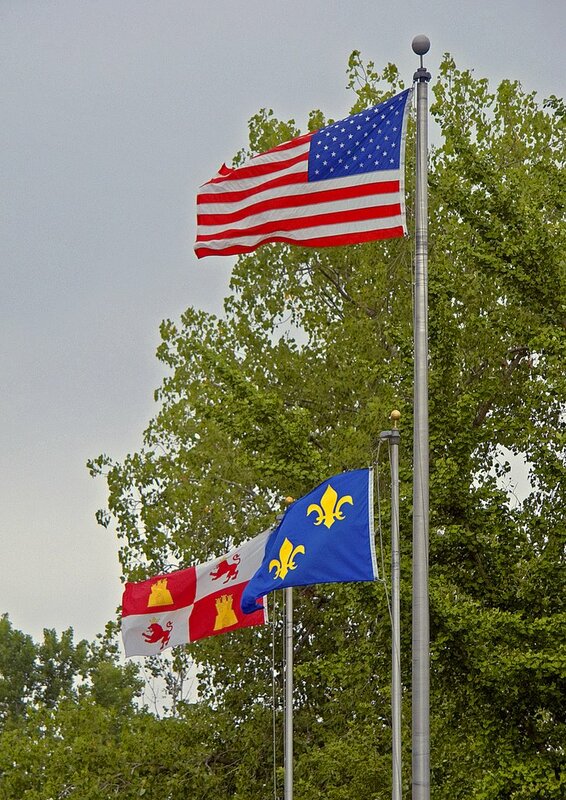 The flag of the Republic flies with the banners of the Catholic Kingdoms of Castilla y León (Spain) and France. This was found in Florissant, Missouri, once the home of Saint Rose Philippine Duchesne. 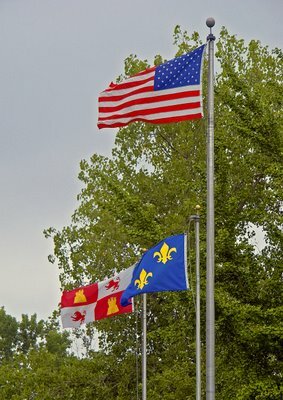 For more infomation than you've ever wanted to know about vexillology, see Flags of the World, and check out the Flag Identifier.